Excellent combination of destructive speed and comfortable feeling. RedFlex Carbon : The combination of soft LCP fiber and elastic Carbon fiber. Laterally arranged LCP fiber absorbs vibration and reduces hard feeling. Vertically arranged Carbon fiber provides high speed. The same level of high speed as that of Strike Carbon. But, the feeling is much softer. Good balance between ball keeping for topspin and high repulsion for hard hitting. Good for both powerful topspin and smash. Block is stable and comfortable. Fast attack which is mostly the combination of smash and block. Offensive style with long-pimple rubber on backhand side. Players who want very high speed but don't want hard feeling. 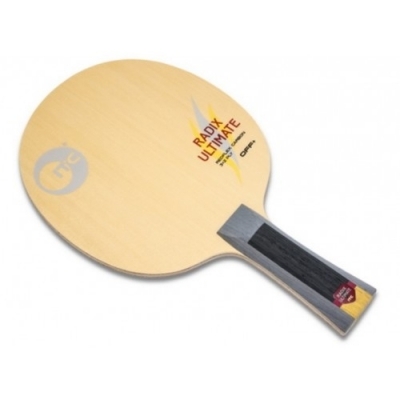 Soft version of Strike Carbon which is the fastest blade of ITC range.